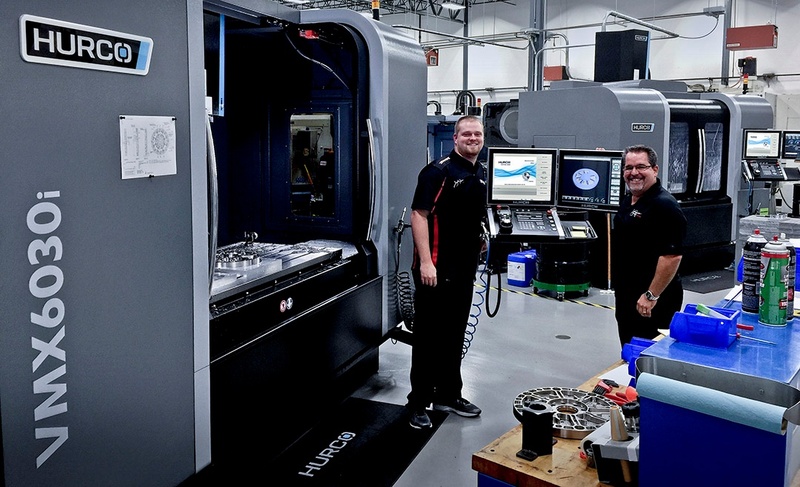 Hurco has many different partherships - some in education, tooling companies, CAM software compalnies, and both Indy Car and NHRA drag racing. Even though every single one of our relationships are important and special in their own way, one of the coolest relationships that we have is with John Force and the John Force Racing team. Take a look at the linked story below about the Eric Medlen Project in Brownsburg, Indiana. The project was created to honor the late Eric Medlen who was killed in 2007. It is a very nice memorial to the memory one of the JFR family. In addition to dedicating the entire Force American Made (FAM) building to the project, JFR also has a museum inside the facilty, with a lot of Eric Medlen memorobila on display. What a great way to keep the memory of one of their own alive and well. Also, speaking of John Force (and in case you happen to be in the Indy area) this week in Indianapolis, on Thursday, Friday, and Saturday (December 8, 9, 10) the Performance Racing Industry Show will be in full-swing - and, as always, Hurco will be in attendance and on display. Also, as if that wasn't enough...John Force, Brittany Force, and Robert Hight will be in the Hurco booth (#5449) on Friday from 3:30pm to 4:30pm meeting fans and signing autographs. Stop by and say hello if you can. I'll see you there!